Travis and I are in the process of buying a rustic retreat near the lake in rural Michigan. While we have run into a few hiccups along the way we are still crossing our fingers that it will be ours in the next couple of weeks. The house we are buying is a remodeled one room schoolhouse built in 1932. The art director in my is so excited about future Casa Verde photoshoots there and furnishing it with a nod to its origins. So while i am waiting here holding my breath and hoping that we can close this deal I got to work looking for inspiration and creating an idea board of vintage modern decor with a schoolhouse flair. This image from Design Traveller has it all - desk chairs, lockers, pennants, books. I love it for the feel, but need to add some more modern touches. I definitely want to have a chalkboard with a rustic wood frame. It would be great to have an antique slate one. Another great example of using a vintage chalkboard this time in a dining room with a rustic farm table and chairs. Would be a great place to write the menu for the week or a special meal. Storage is so important to my family especially in our weekend house which will be full of sporting equipment, water toys and beach supplies. I love this solution with the wire gym baskets, built-in bench and reclaimed barn wood. Finally, I have my heart set on using a vintage pull down map as wall decor. It totally reminds me of my years in school and I think it will be right at home in our schoolhouse. The above example fits in perfectly with the whitewashed plank walls and casual linen couch. Felt Pennant- $25: Pennants are such a fun way to dress up a guest room wall and I really like how this one from Oxford Pennant pays homage to travel and finding yourself in the peace and quiet of nature. Chrome Schoolhouse Wall Clock - SALE $149: Traditional design with modern finishes, this wall clock from Newgate will look right at home with almost any decor. No Whining Print - $20: Make sure everyone knows the rules of the house with this 11x17 letterpress print from Hammerpress. Classic typography and timeless sentiment. Vintage Schoolhouse Wall Hook - $7: A vintage find from an old English schoolhouse provided the inspiration for this multiuse hook. Hung solo or in multiples, it's ideal for everything from coats and hats to umbrellas and book bags. Vintage Gym Locker Basket - $35: Use these industrial wire basket to store and display any number of things from book to toilet paper. Etsy is a great resource for authentic vintage baskets. Black Forest Green Paint - $50: I love this deep, dark green as an alternative to black for a front door and shutters. Benjamin Moore is some of the best paint around and I have always found it to be worth the cost. Plus, it is better for you, the environment and small businesses than its competitors. Buffalo Check Wool Throw - $90: Based on the timeless buffalo check design, this pattern is Faribault Woolen Mills classic that we’ve made for more than a century. Crafted in America from pure lambs wool with a fringed edge. North America Elevation Map - $150: This classic wall map from Raven Maps is both gorgeous and educational. It uses shaded relief to portray the land and combines shading with elevation tints. Elevation colors make mountains, highlands, and valleys immediately obvious. Frame a map of a location that has meaning for you. Newberry Surface mount and shade - $227: Designed to emulate the quality and durability of classic fixtures, the Newbury Schoolhouse Electric recalls an elegance of eras past. Beautifully designed, the curved hourglass shape is made from heavy gauge, solid American brass in their Portland fabrication shop. 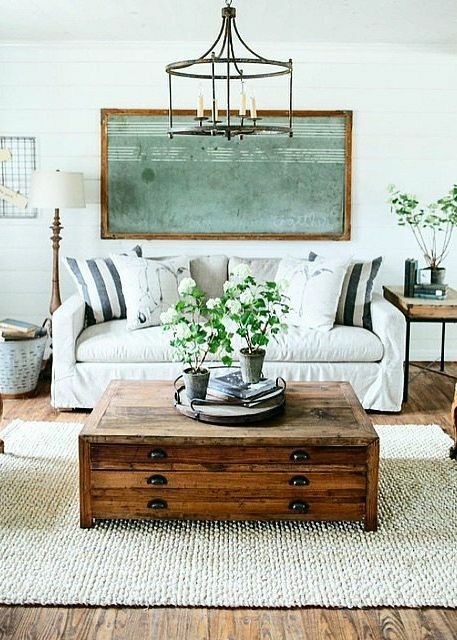 Mix and match finishes and shades to get the perfect light for your space. Schoolhouse Chalkboard with Coat Hooks - $49: No schoolhouse interior would be complete without a chalkboard. This large chalkboard features a rustic wood frame, small shelf to hold chalk and an eraser and three metal coat hooks.